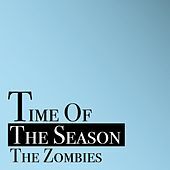 The Zombies' influence on popular music corresponds neither to their commercial success nor to their recorded output. With only two albums and just a handful of vaguely successful singles, among them "Tell Her No," "She's Not There" and "Time Of The Season," the group's unmistakable melodies and classically derived arrangements have nevertheless turned the Zombies into a touchstone for anyone interested in harmonious pop music. 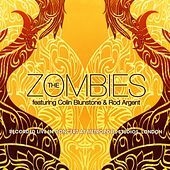 Colin Blunstone's breathy, soulful, swooning voice still remains unrivalled in its otherworldliness, and the group makes some of the most complex, ornate and stunning psychedelic pop around. Anyone who has ever spent time listening to Odessey & Oracle can attest to it.